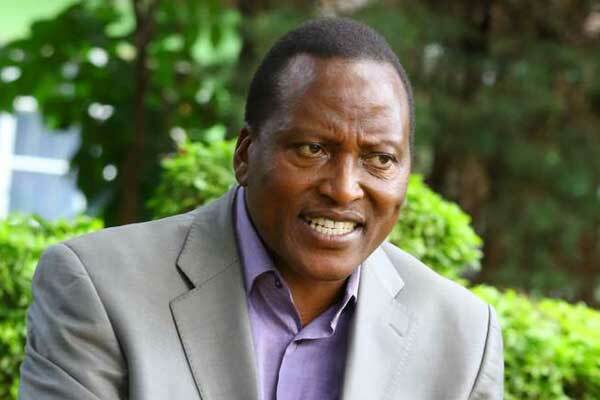 Thursday February 7, 2019 - Kitutu Chache MP, Richard Onyonka, has shocked his constituents after he vowed to strip naked if the road next to his home was not completed. Speaking on Tuesday, Onyonka stated that the road had become dusty after a Chinese contractor responsible for its construction was halted from undertaking the operation. “We cannot sleep in our houses because of the dust. My wife and children are both sick and I have lost my voice because of the dust emanating from the road,” remarked Onyoka. Onyonka has now given Kisii County Commissioner, Godfrey Kigochi, a two-day ultimatum to have the matter sorted out or he goes stark naked. “We are not begging for such services. If he will not have fulfilled his promise within the agreed period, I will strip naked,” remarked Onyonka.